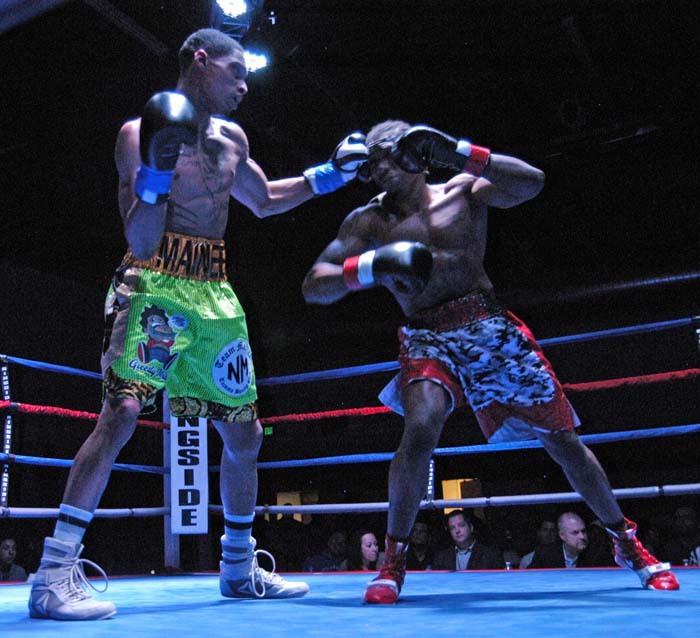 Nicholas Jefferson entered the ring wit a string of impressive wins, both as a professional and an amateur. His opponent, Sean Gee's record is not as impressive, but what doesn't show in Gee's record is how tough he fights and how close have been his losses. Gee would prove a formidable test for Jefferson in the five round main event. The opening few moments of the fight were slow in pace as each man walked about looking for the opportunity to step in and fire. Gee was able to go on the offense first as he threw some big shots i Jefferson's direction. Jefferson then started to use his jab to create some distance, but often Gee was able to slip out of trouble. In the second round Gee moved to close the distance between the two men, hoping to negate Jefferson's long reach advantage. Jefferson closed the round with a flurry of jabs while looking to land a right to Gee's body. Gee upped the pressure game in the third round, keeping Jefferson in front of him and throwing his hard left at Jefferson's head. Jefferson made a quick adjustment, moving away from Gee's power and shooting his right to Gee's body. The fourth round was close as both men appeared to tire. Gee kept pressuring Jefferson, keeping him close and within range of sharp right hands to the body. Jefferson was not able to let his hands go, firing fewer punches as in the previous round. The quick paced effect of the middle rounds showed as the men entered the fifth round. Both were tired and though they were continuing to throw punches, neither showed the sting they had in the early rounds of the fight. As the round closed Jefferson dug deep to fire some quick jabs coupled with a few body shots. At the end of five rounds all three judges agreed on the score, 49-46 all in favor of Nicholas Jefferson who would remain unbeaten. 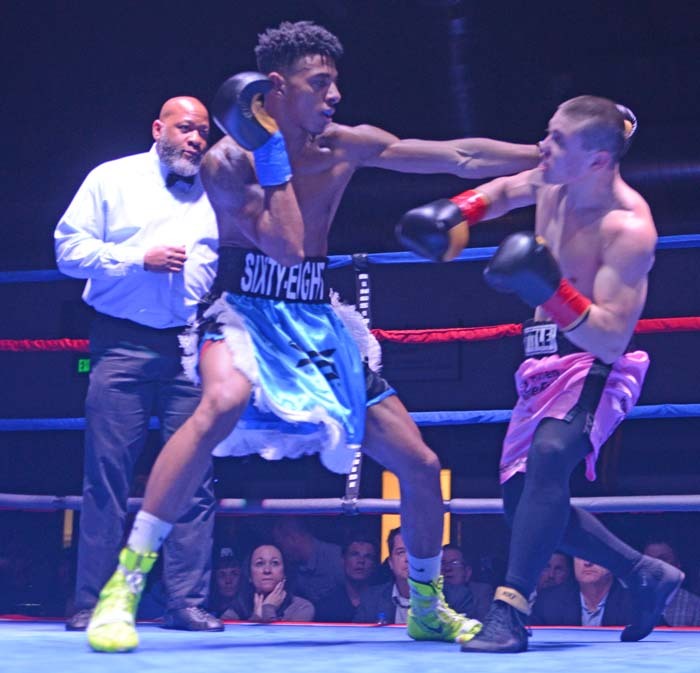 Rob Diezel entered the ring on a four win streak during which he has shown that he has the skill and quickness to outwork opponents. Gilberto Duran does not have the experience in the ring as does diezel, but he has shown some power, winning his last bout with a knockout. The opening round was close as each man worked to establish some dominance behind the jab. Just past the midpoint Diezel was able to add some body shots to his attack. Diezel began to throw combinations in the second round, and when he did, he was often able to catch Duran's lanky body. Duran was able to answer, but too often he threw only one punch at a time. The third round was close as both men spent a lot of time swinging and hoping to land a big punch. Duran showed he was able to throw combinations in the round, and that forced Diezel to jump in tight on fewer occasions. Diezel was more accurate with his jab as the round drew to a close, and that opened up the opportunities for him to shoot his right to Duran's body. Duran was the busier fighter in the fourth round as he again was able to land punches with both hands. Diezel covered up well, blocking many of the punches. The final round was another close affair as Duran kept the pressure on Diezel. Duran threw combinations, and again Diezel proved adept at blocking many of them. As the round closed Diezel was effectively counter punching and scoring. After five rounds all three judges agreed and scored the fight 50-45 for Rob diezel who would claim the unanimous decision victory and continue his win streak. 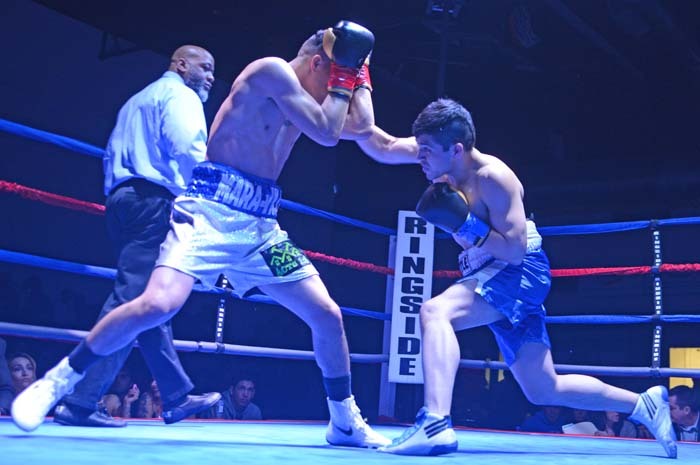 Kevin Davila's last win came in August of 2018 when he scored a quick knockout. Prior to that he had experienced a string of fights were he came up on the short end of the judge's decisions. Jorge Linares has experienced misfortune in his previous two outings, losing both. This match up might not have looked amazing on paper, but the heart and desire of the two men made it an exciting bout. In the opening round there were fast paced moments of action and moments when the pace slowed as each man moved to create an angel from which to throw a power punch and score. While Linares looked to throw something heavy, Davila shoed some quickness in avoiding those punches. Linares got a quick start in the second round as was able to score by landing his jab. At the midpoint of the round, Linares backed up, trying to entice Davila to come to him. Davila chose not to, and for a few moments the two men just stood and stared until the referee told them to fight. When they did continue, it was Davila who closed the round landing the heavier shots. Davila had a solid third round as he continued to pressure Linares. Davila was more aggressive in throwing punches and in so doing he kept Linares backing up, and spending moments with his back on the ropes. Pining Linares on the ropes was Davila's game plan in the fourth round as he was relentless in his attack and kept a position that rarely allowed Linares to break free. Both men were able to throw from that position, but most of the shots were short punches to the other's body. After four rounds one judge scored the bout even at 38, the other two scored it 39-37 for Kevin Davila who could claim the majority decision victory. Early in his professional career, Abraham Martin has strung together three wins, all coming by way of the knockout. 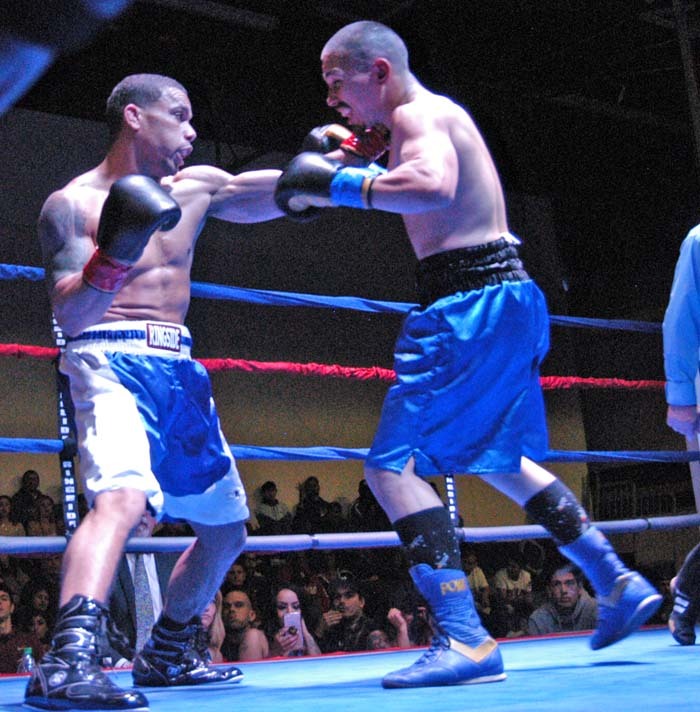 Alex Alvarez, also early in his career, lost in his pro debut due to a knockout. That however was only part of the story going in to this fight. Both men carried power, so the decision appeared to rest with which of them could force his will on the other. Martin answered the opening bell aggressively stepping across the ring and throwing power shots at Alvarez's head and body. Early in the round Martin caught Alvarez with an over hand right that stunned Alvarez. Alvarez answered Martin's onslaught by stepping in close and firing shots at Martin's body. Martin continued to land heavy hots at the beginning of the second round. Alvarez was able to answer the first two, but then he slowed as Martin's power began to take a toll. Another one of Martin's heavy right hands landed to Alvarez's head, staggering Alvarez. Alvarez moved to the ropes, his legs wobbly, but he appeared ready to continue. However, Alvarez's corner called for the referee to stop the fight to protect their fighter. 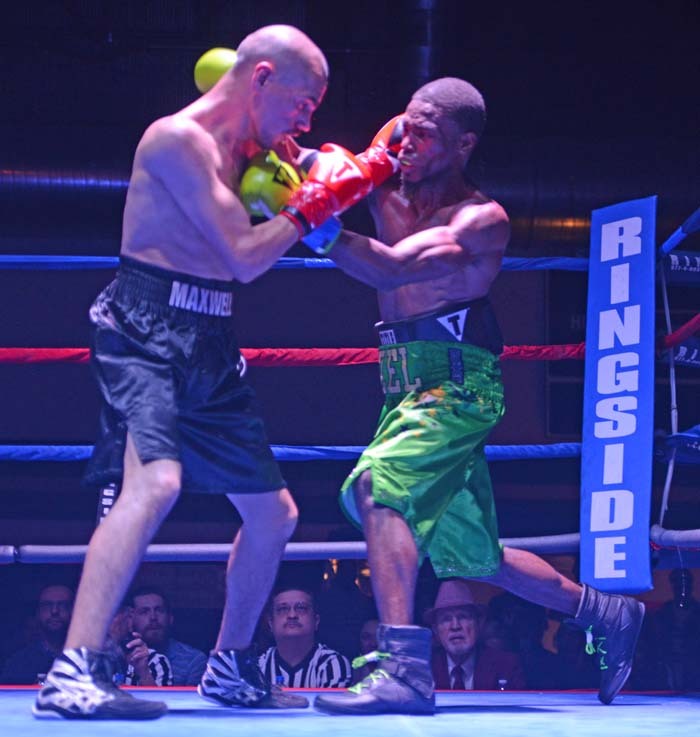 Martin would claim the TKO victory at 1:23 of the second round to remain unbeaten. 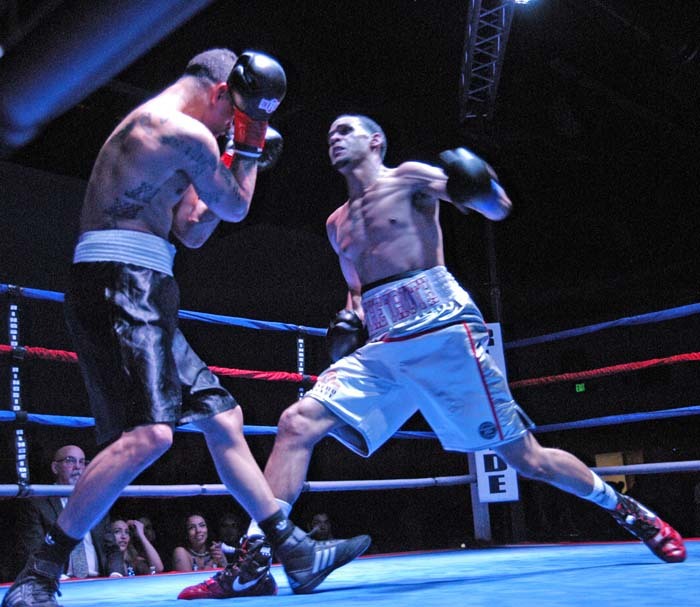 William Parra Smith entered the ring coming off an impressive TKO win in his last outing. Shae green entered on an opposite note as he had dropped a decision in what he would admit was not a typical outing. The opening round was close as Green looked to use his height and reach advantage while Parra Smith walked in close to negate that advantage and pummel Green's body. Much of the action in the round was confined to that in tight body work, though Green was able to occasionally land a shot to parra Smith's head. Both men, fighting behind his strength, had a solid round. Green began to throw some combinations. Parra Smith made the adjustments necessary to get in close in order to fire his right hand at Green's body. Green appeared more focused in the third round and as a result he was able to land some heavy punches. Parra Smith kept his head on Green's chest to keep the fight in close where he could use his power to punish Green's body. Green made the adjustment to step back and again use his reach to score. Green out boxed Parra Smith in the closing round by creating distance between the two and landing shots to Parra Smith's head and body. When Parra Smith stepped in close, he tried to fire shots at Green's head, though Green was able to move to avoid any damage. After four rounds one judge scored the fight 39-37, the other two scored in 40-36 all in favor of Shae Green who would claim the unanimous decision victory. Charon Spain gained some confidence coming off an unanimous decision win march, and he would need that confidence as he faced unbeaten Chris Johnson. Johnson has racked up three impressive wins as a professional over the course of the last year. The opening round got off to a slow start until Johnson landed a hard left to Spain's head and dropped him to the canvas. Spain was quick to jump up to listen to the count. Johnson controlled much of the action of the second round as he jabbed his way in close and followed that with his left aimed at Spain's head. Spain stood in though he took some heavy punches. The third round was closer as Spain made an adjustment to fight in tight quarters. Johnson proved he too could fight in tight as he made the adjustment to fire punches aimed at Spain's body. The round ended with Spain backed in to the corner and Johnson landing a number of punches. Early in the fourth round, after Johnson had fired a shot at Spain's head, Spain turned to the ropes and took a knee. The referee counted. When Spin stood, he motioned to his eye. The referee called time out and the doctor came to look at Spain. It was determined that he could continue, and he did. At the two minute mark Johnson landed another heavy shot to drop Spain. Though Spain would rise, Johnson would control the action as the fight ended. One judge scored the fight 40-34, the other two scored it 40-33 all in favor of Chris Johnson who would remain unbeaten behind the unanimous decision. 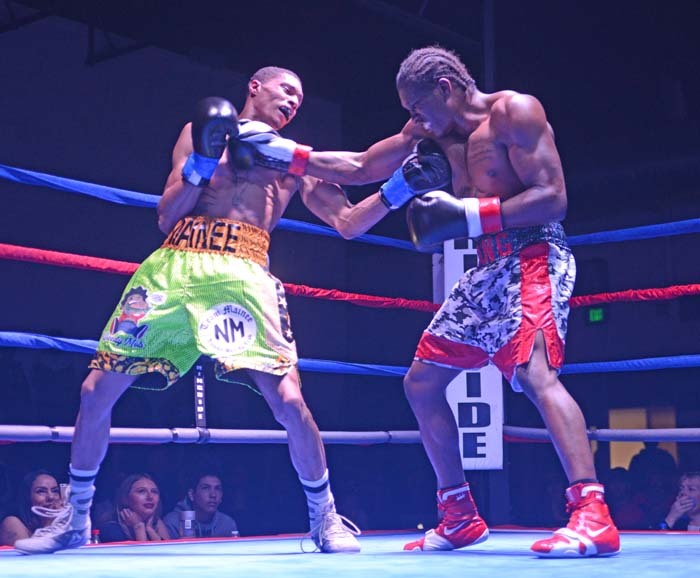 Journey Newson and Gerardo Esquivel opened the night in a four round bout. Esquivel was coming off two impressive wins, and though Newson dropped his only decision as a professional, he showed promise in that fight. There was not a lot of defense in the first round as each man answered the bell swinging with both hands. newson was able to garner the initial advantage as he backed Esquivel in to the corner and fired shots to Esquivel's body. Esquivel abandoned the wild punching of the first half of the round and settled into boxing to control the second half of the round. Esquivel went to work on Newson's body in the second round and when he did he was able to score. Newson however avoided any heavy damage by turning Esquivel and slipping out of range. There was a lot of action in the third round as both men returned to the relentless throwing of punches. Newson was able to land some heavy shots while Esquivel focused his attack on Newson's head. 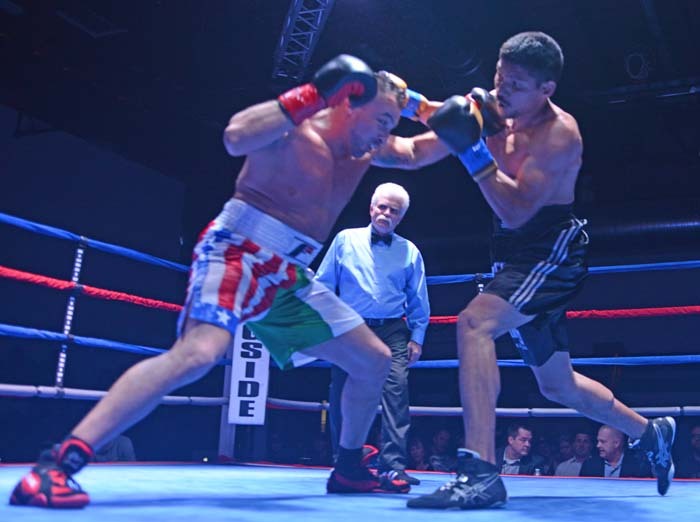 The action continued in to the fourth round, however, this time it was Newson who targeted Esquivel's had. Esquivel did throw some hard body shots, but he also decided the weapon of choice should be his right launched to Newson's head. After four rounds one judge scored the fight 40-36 in favor of Esquivel, the other two scored the fight even at 28. The fight would end in a majority draw.